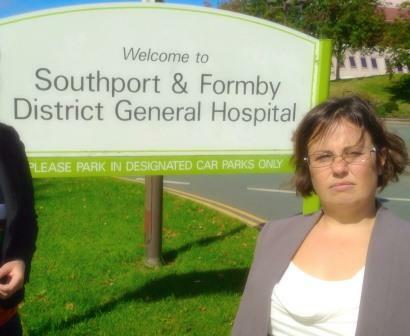 Southport residents will benefit from Labour’s plans for the NHS, according to its election candidate Liz Savage. If elected on 7 May, Labour plan to create a 21st Century NHS that will make patient services fit for the future by bringing together physical health, mental health and social care into a single system of whole-person care. With an elderly population, and lots of families with young children in our town, Liz Savage says that the people of Southport will see improved local NHS services if Labour is elected. Labour also plans to guarantee a GP appointment within 48 hours and will repeal the Health and Social Care Act introduced by the Conservative and Liberal Democrat Coalition that wasted £3 billion on a top-down reorganisation that puts competition and profits before cooperation and patient care. Liz Savage said: “As your local MP in Southport I would be vigorously supporting Labour’s proposals to streamline physical, mental and social care into a whole-person approach and ensure that the residents of Southport benefit from this. As a patient and the daughter of someone with a brain tumour, I have seen the pressure the NHS and care system is under in Southport, Merseyside and West Lancashire from the Coalition Government’s focus on profits and competition.